One of the most common Canva issues is Why are my Canva designs blurry when I download them? I’m still not 100% sure why they can’t solve it. I don’t have the solution but I have a way around it. Let’s start with an explanation of the difference among the 3 file types to help you select the BEST option for you. Yes, PDF. I know what you’re thinking, but Amanda isn’t that a document? 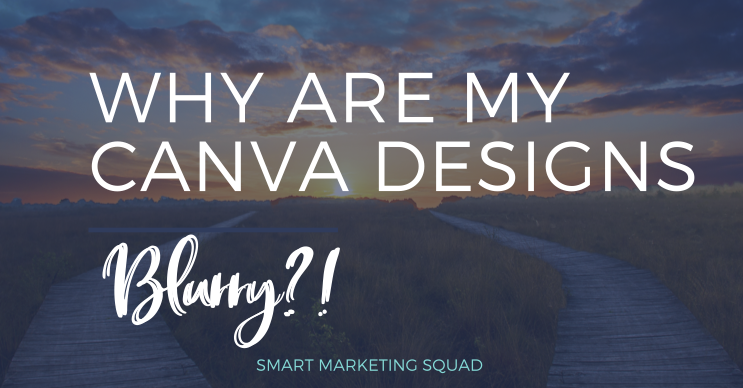 Yes, I’ll explain why it’s important to graphic design and why I choose it the most when downloading from Canva. JPG – Smaller file size, lowest quality of the 3. PNG – High-quality image file. PDF – High-resolution printable file. JPG – Joint Photographic Export Group. This file is smaller in size so it’s great for sending in email and on websites where file size matters. But it comes with compression and each time you save a JPG it looses a little more quality. Why? When you save this file the computer finds the pixels that are essentially the same color and blocks them together and that data is lost forever. This creates some blur, but a reduced file size that is web friendly. This blur is much more apparent in graphic designs using large flat areas of colors, versus images which fare better as JPGs. PNG – Portable Network Graphics. The compression in a PNG file so you can save it as many times as you like without quality loss. It’s a higher quality image and still web friendly with image compression but not to the same degree as a JPG. PNG is what you call a lossless image quality compression. You can save and share these images without losing quality in your images. And you can save images with transparent backgrounds in PNG format, whereas you cannot in PDF or JPG. PDF – Portable Document Format. These are high-resolution files that can be printed. They are larger files and you can’t use PDF online as images so they aren’t web friendly. But if you need to print business cards or flyers, or for graphic designs PDF is the way to go. And you can convert these files to better quality JPG and PNG files. Why I download as PDF from Canva. So now why do I like to download most of my images from Canva as PDF? Because however PNGs or JPGs are downloaded from Canva, they never come out as clear as if I first download it as a PDF, then convert it to a JPG or PNG. This is slight variation is more apparent in graphic designs, than it is in image files downloaded from Canva. See the image below? I zoomed in on this design to show the detail in pixelization of each file format. The top left is a JPG downloaded from Canva. 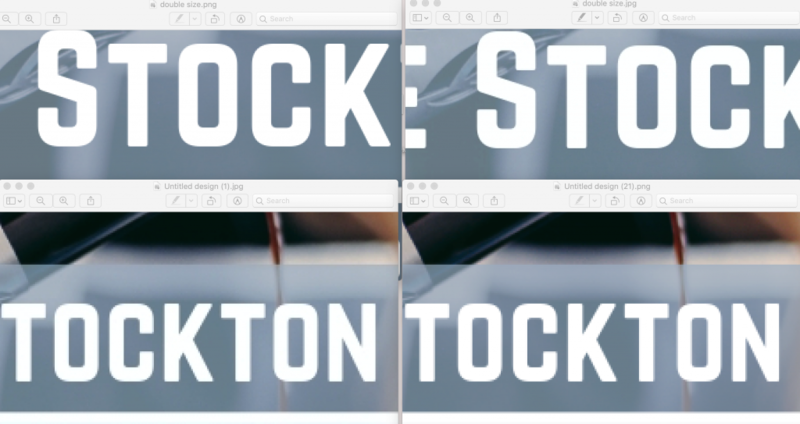 The top right is a PNG downloaded from Canva the bottom image was downloaded from Canva and converted to a PNG. As you can see there is a huge difference between the two PNGs. Doubling the image Size in Canva. Many people recommend doubling the resolution of your Canva design to get a less blurry image. The only caution I have on this is doubling the size in Canva will also increase the file size of your image, affecting its web and email friendliness. The goal is to get the smallest file size while retaining the best quality. So I doubled the size of the graphic in Canva, and downloaded the design as a PNG and JPG and compared them with the direct PNG and JPG downloads from the image above. Here is what I found. Yep, it works. It’s definitely crisper. However, the file sizes increased to over 1 MB in this particular design whereas the PDF converted image of the smaller design in Canva remained under 1MB and was still just as clear. The larger the image size/resolution, the larger the file size will be as well. Thus affecting web friendliness. It all comes down to the importance of the image. Doubling the image size in Canva might be easiest for you and might produce a much larger file complicating web use, but might work fine for you. Then again downloading the image as a PDF and converting it might be better for you and produce a smaller file retaining its quality and web friendliness. (Think website images, you want smaller files with the best quality to maintain good website speed and the best quality). While many factors can go into the Canva blur, it’s interesting I can get a cleaner PNG or JPG than I can get from directly downloading from Canva if I download as PDF then convert it. That tells me there is something happening during the downloading process from Canva, and they haven’t acknowledged why. So while your resolution and quality of any images you upload to Canva for our designs can significantly affect your designs, there is still this slight Canva disadvantage. Why? I’m not sure, but I have practiced digital photography for many years and think it’s possible there might be some sharpening for the web happening in the download process in Canva. Then again it may have nothing to do with that, it’s just my theory. 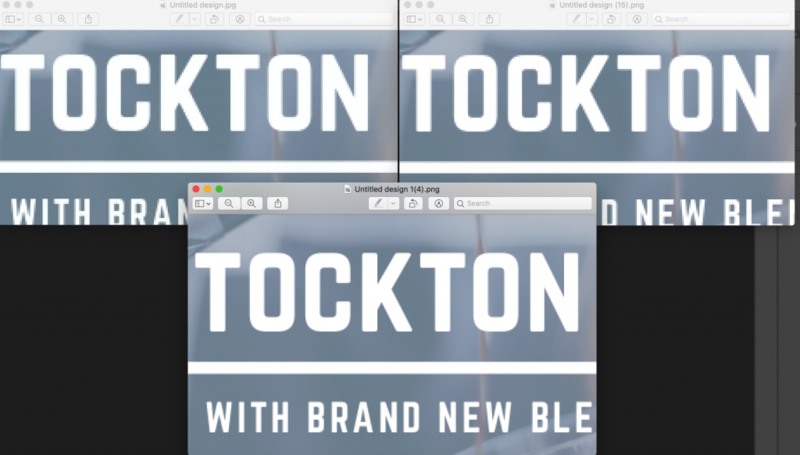 I’m not that techy but the difference in my images when I use Photoshop or Lightroom and sharpen images for the web seem to align with the Canva results above. Maybe one day it will resolve. So now, how to resolve this. If it’s important to you that the image is very sharp (I like my blog post images to be clean, but social media images aren’t always that important, or noticeable, to me) I download the graphic from Canva as a PDF. If I need a transparent background I use PNG. I rarely use JPG downloads mostly use PNG when I don’t use PDF. Easily Converting PDF to PNG or JPG. Photoshop, Adobe Illustrator and InDesign will all allow you to open the PDF and save as (or export) as PNG or JPG. I love this option, I have a Mac and it makes life easier. Open the PDF in previewer and then under the file menu choose export, then in the save box under Format choose PNG or JPG. I like, use and trust www.smallpdf.com for online options. Choose a PDF converter and follow the prompts. It’s really easy. And this is a great tool if you don’t have Adobe Acrobat Pro and need to edit PDFs, by adding pages, merging, e-signing etc. Double the Image/Graphic size in Canva. Creating a FB Cover? Choose the FB Cover template in Canva that is 940x788. Click Resize and choose Custom dimensions and enter 1880 w x 1576 h, and click resize. Proceed with designing your image. (this would not be my first recommendation due to file size issues). So while I cannot tell you how to fix the Canva blur issue directly in Canva with any tricks, at least we have options! 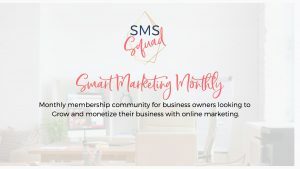 It’s frustrating, yes, but overall Canva is much less frustrating and cumbersome than designing with a graphic design or photo editing program. While I’m versed in Photoshop and Illustrator I can design basic daily content pieces for my business so much more quickly with Canva. Want more design tips for non-designers? 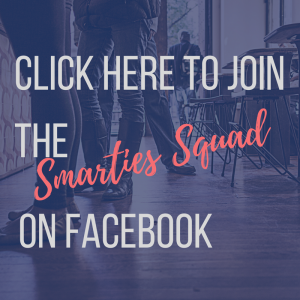 You can join my Content Creation with Canva Facebook Group, where I share all my content creation tips for small business owners, bloggers, and entrepreneurs.